There are times when all of us feel we have something important to say. We are enthusiastic and nervous at the same time. We want all who are within earshot of our message to receive it, agree with it and welcome it. When this doesn’t happen we often walk away feeling defeated. I just want to remind you of the scripture above. Not everyone will love your message or even want to listen to it. Have you ever been excited to share some great news and you get a lackluster response. What about getting no response at all?! Ever sent that “guess what happened” text and *crickets* on the other end? There is no need to get upset or let it bother you. 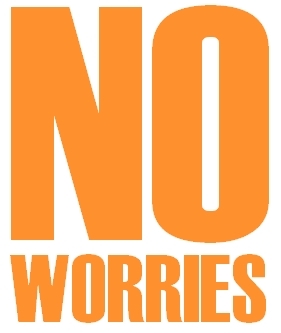 Adopt the saying “no worries” and keep it moving. You message isn’t for everyone, everyone won’t love you, everyone will not want to see you doing well. Sometimes your message will be received, sometimes it won’t. Their response doesn’t devalue the message. They don’t want to hear you…NO WORRIES!